As an aside this book has a lovely selection of breakfast options – granola, fresh fruit toppings, new toast toppings to explore (poppy seed honey toast) and, back to the topic, recipes using a sourdough starter. I had an enthusiastic starter bubbling away in my green bowl (no more baggies for me as the bowl is much cleaner and easier to use). Sourdough Pancakes sound great, topped with honey maple syrup. Yum, but now I am getting quite side-tracked. 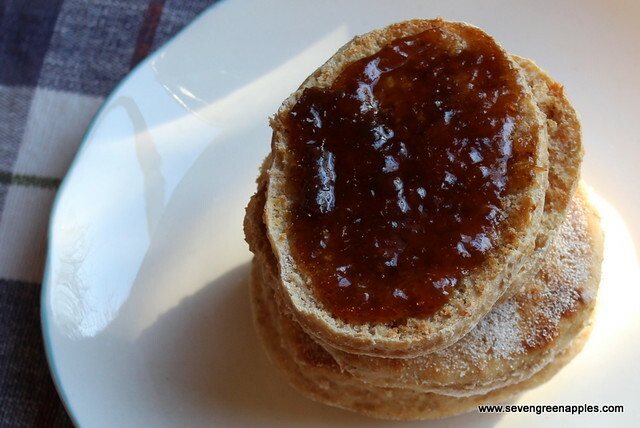 It was the recipe for the sourdough English muffins that really got me out of the easy chair and into the kitchen. I had been thinking for a while of digging out a recipe for English muffins and here one presents itself right before me, leaving no further excuses or comments like “I must make that one day”. 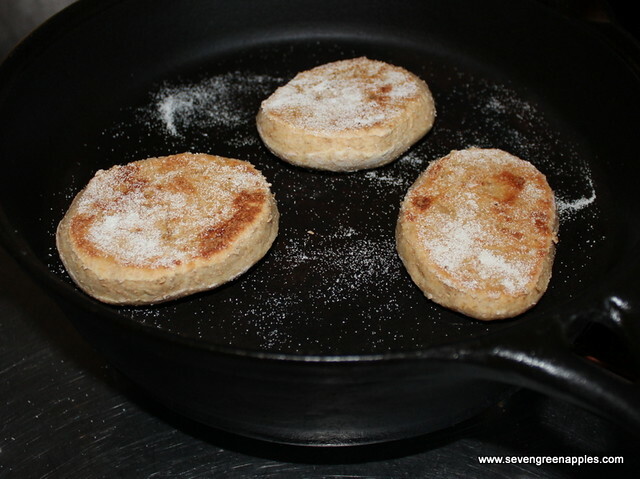 This recipe is best begun the night before you wish to eat English muffins. Combine the starter, milk, flour and first measure of honey. Mix well and cover loosely with a clean tea-towel. Set it aside and leave, at room temperature, overnight. 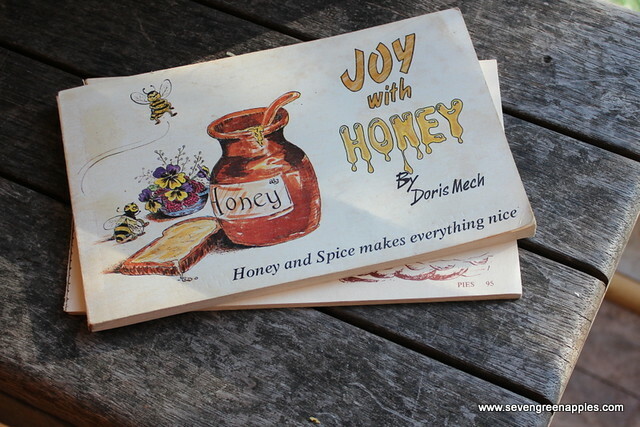 In the morning, drizzle the second measure of honey over the dough. Combine flour, salt and baking soda then sprinkle on top of the honey. 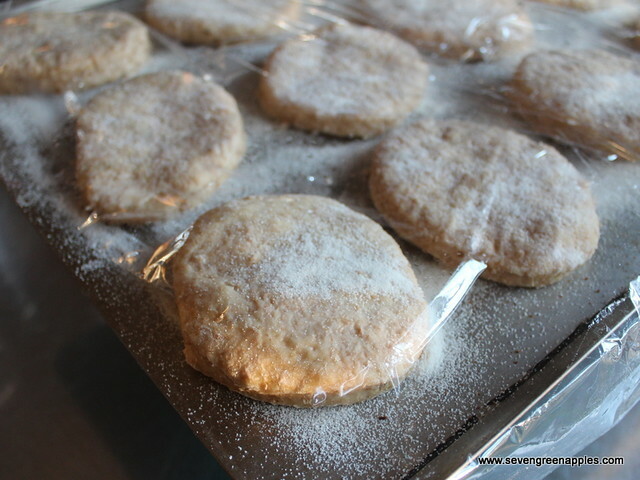 Mix well then turn out onto a floured surface and knead the dough until it isn’t sticky (about 2-3 minutes). 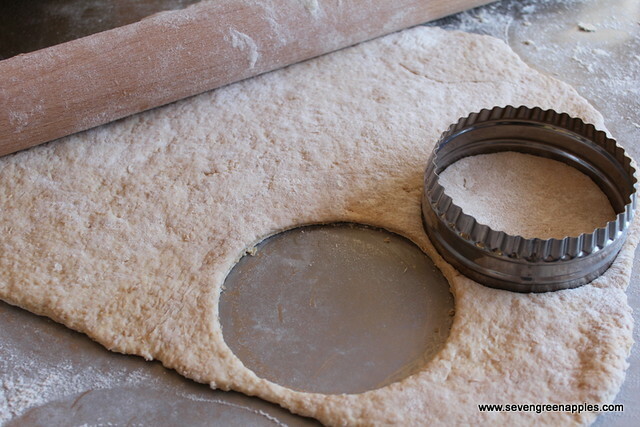 Roll the dough out to approx. 1.5 cm thick then cut into circles about 7cm in diameter. 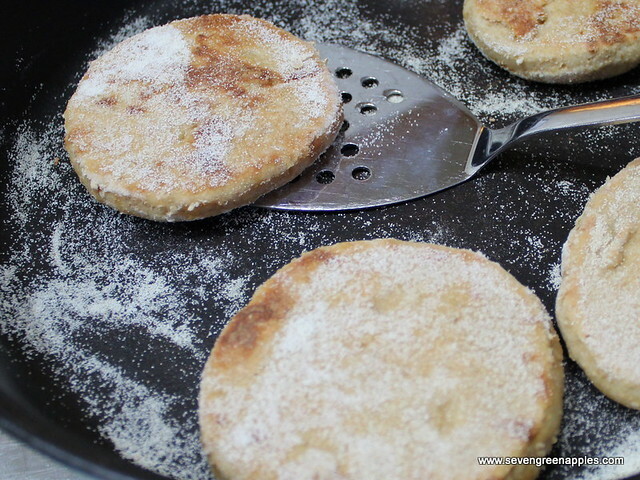 Sprinkle a baking tray with semolina and place dough circles on the tray, leaving room for the muffins to rise. Sprinkle more semolina on top of the muffins, then cover with plastic wrap, and then a clean tea-towel. Set aside in a warm place for 45 minutes. Preheat a frying pan (I used my cast-iron electric frying pan with the temperature just below 8). Place three or four muffins in the pan, cover and cook for about 7 minutes. Turn the muffins and cook the other side for 7 minutes. Remove and rest a little before slicing in half, buttering and slathering with honey. These also toast up well. The Anster – Yum but where is the apple?? Mopp – he ate more than his fair share and didn’t bother with butter or honey, just scoffed them plain so I’m guessing he liked them. And to bring in the apples – these would be perfect served with lashings of apple butter or apple jam. I have made apple jam in the crockpot – stay tuned for that post soon. Note: if you don’t have runny honey, simply heat creamed honey gently until it melts into runny honey. This entry was posted in Baking, Breakfast and tagged AFB, English muffins, friendship bread, homemade English muffins by Jo Dohrman. Bookmark the permalink.